This week’s roundup sees UK aircraft deliveries continue to soar, new engine production begins at Ford Bridgend, plus what lessons can be learned from making hot sauce at scale…? The third quarter of 2018 was the best on record for aircraft production, with 390 aircraft delivered, a 10 percent rise compared to 2017, worth up to £7 billion of the UK economy. The quarter completed a best ever first nine months for aircraft deliveries by the major manufacturers. 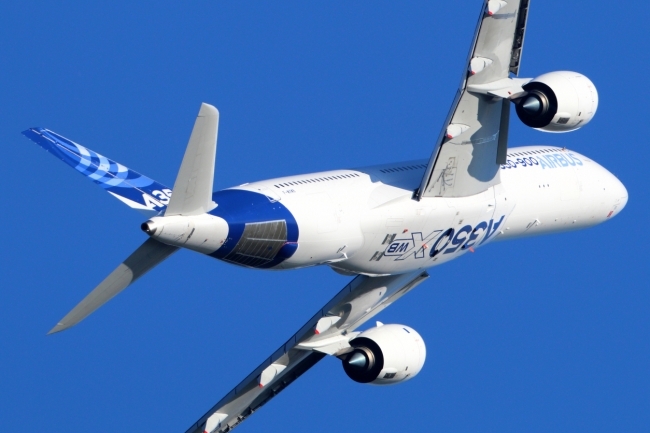 The period also saw an increase in orders on both wide-body and single-aisle aircraft with 244 placed as global demand remained strong. With yet more records being broken in aircraft orders and deliveries, 2018 is well on its way to another successful and record-breaking year. The total order backlog total stands at 14,172 aircraft worth up to £217 billion to the UK as orders are fulfilled. To maximise the value to the UK, continuing investment in productivity and competitiveness will be required throughout the supply chain. 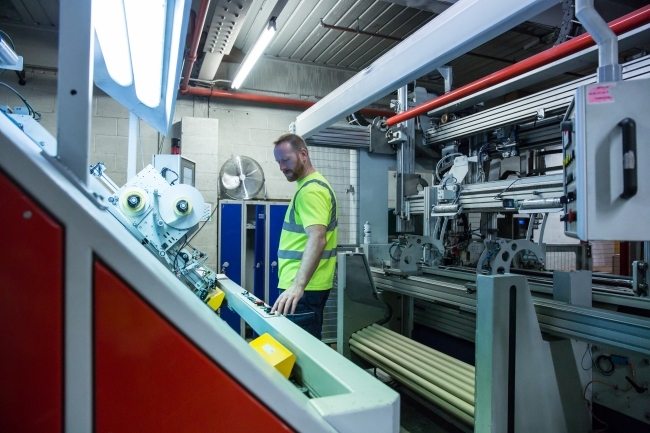 Dams Furniture has opened its new, multi-million-pound manufacturing facility at its head office site in Knowsley, Merseyside. The new 85,000 sq. ft. (7,900 sq. m.) building consolidates the four sites that Dams currently operate from on Knowsley Industrial Park into one larger site, bringing all of their manufacturing and assembly together into one place, alongside their head office, showroom, warehouse and distribution centre. Chris Scott, Managing Director said: “Having all our operations on one larger site will not only boost our UK manufacturing capabilities and reduce our lead times on made-to-order products, but it will also create dozens of new jobs which will have a positive effect on the local and wider community. Not just in the short term but for years to come.” Dams head office site uses waste wood from the wood factory to power their central heating system. Two biomass boilers heat the production facilities and warehouse space, reducing Dams demand for oil and gas, whilst at the same time helping to improve waste management, with over 95% being converted. The Aston Martin Lagonda (AML) Vehicle Dynamics team has been handed the keys to its new home at Silverstone. 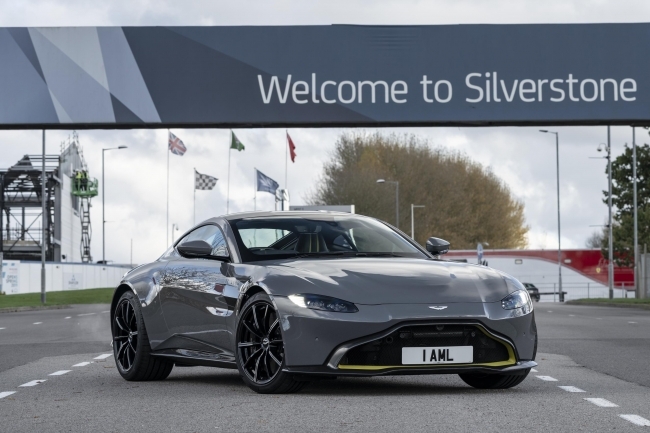 Based alongside Silverstone’s Stowe Circuit, Aston Martin Silverstone will provide a permanent base for the British luxury carmaker’s test and development programmes, when it becomes fully operational in December. With Aston Martin launching a completely new car every year plus multiple special editions, the Vehicle Dynamics experts have a busy programme of prototype vehicle testing and Silverstone’s choice of world-class circuits and dynamic handling areas are ideal for working on chassis dynamics and high-speed handling development. Aston Martin’s Chief Engineer – Vehicle Engineering, Matt Becker said: “The new base at Silverstone will provide us with a reference circuit upon which to develop the next generation of Aston Martins. Silverstone is a fantastic place for us to practice the dark art of vehicle dynamics, the fine tuning that takes place to turn a good car into a great car. Our talented team of engineers and our high performance test drivers now have a racing circuit right outside the door.” Currently, the team carries out ride tuning work in the UK and then travels to circuits across Europe to evaluate the high-speed ride, handling and steering. Most of Aston Martin’s stability control (ESP) development is done on a test track in Europe, so the new UK base will be a real advantage. With over 125 years in the industry, Carrington is the largest producer of workwear fabrics in the UK. Exporting to 81 countries worldwide, and supports some of the world’s largest employers including McDonald’s, Coca-Cola, Jaguar Land Rover and BP. In the latest instalment of ‘See Inside’, we take a look around its Pincroft Dyeing & Printing factory and explore some of the key facts & figures behind the site. 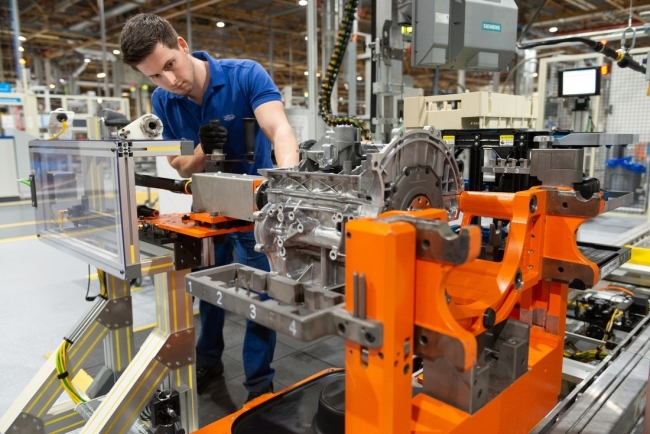 Production has now begun of an all-new, technologically-advanced, fuel-efficient petrol engine at the Ford’s Bridgend engine plant in South Wales. The three-cylinder, 1.5-litre EcoBoost engine, which debuts in the multi-award winning Fiesta ST and all-new Focus, is built on an all-new, state-of-the-art flexible manufacturing facility following an investment of £100 million, including support from the Welsh Government. Economy and Transport Secretary, Ken Skates said: “I’m delighted to see our Welsh Government investment supporting hundreds of high skilled jobs in south Wales. We are proud to have played a part in developing this world class manufacturing facility and look forward to continuing to work with the company and workforce to ensure a bright future for the plant at Bridgend, despite the upcoming challenges of Brexit.” The all-new engine family was designed and developed by engineers at the Ford Dunton Technical Centre in Essex, as well as Ford’s Technical Centre in Merkenich Germany, and the Ford Research and Innovation Centre in Aachen, Germany. Hundreds of robots are to start delivering packages to addresses across Milton Keynes, in one of the first full-scale uses of such technology. Residents will be able to get parcels sent to a robot depot, which will notify them when they arrive and then deliver the item to their door. The scheme is being pioneered by Starship Technologies, and the firm has already partnered with the Co-op in Milton Keynes to deliver groceries. The new service is available through a mobile phone app, with residents living in the neighbourhoods covered in Milton Keynes able to have packages delivered to an address of their choice. Customers will pay a monthly subscription of £7.99 for an unlimited number of deliveries. Starship Technologies was formed in 2014 by Skype co-founders Ahti Heinla and Janus Friis. It is headquartered in San Francisco but has a base in London. Alicia Prior was one of the first graduates to emerge from Coventry University’s Institute for Advanced Manufacturing and Engineering (AME) – an effort to produce a pipeline of industry-ready graduates. She talks to The Engineer about life after the ‘Faculty on the Factory Floor’ course that was specifically created to deliver more industry-ready graduates in a bid to ease the manufacturing skills crisis. Back in July, Jenny Gao launched a pre-order campaign for her Sichuan Chili Crisp, the first 100% all-natural Sichuan chili sauce to hit the market. It became one of the highest backed food projects on Kickstarter, with over 1,600 backers, and exceeded her funding goal by 350% in four weeks. Jenny was finally ready to scale up production of the sauces she had been making out of her kitchen. That might sound triumphant and glamorous. It was anything but. Here, Jenny shares some of what she learned from her first time producing sauces on a large scale.